Honda Power Equipment is celebrating the New Year by launching a new generator model, the EU70IS, which the company says features the latest in generator technology. Honda Power Equipment is starting 2015 with a bang by launching a brand new portable generator - the EU70IS. For the first time in a Honda generator, the EU70IS features an Electronic Fuel Injection System which Honda says will provide customers great economy and savings. The lack of a carburettor means fuel stays fresh in the tank. 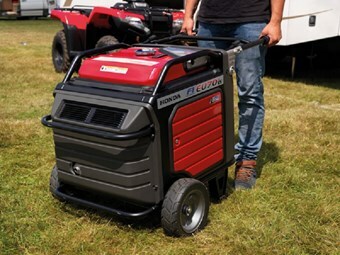 The new EU70IS is powered by a Honda GX90 engine and delivers up to 7kVA of power to carry out any job around the house or campsite. With Honda’s sine-wave inverter, the EU70IS can safely power fluctuation-sensitive equipment like laptops. The new model features an electric start (with recoil back-up) and a liquid crystal display for ease of operation. It weighs in at 118kg and features two push "H" shaped fold down handle, making light work of transporting the machine. Honda Power Equipment national manager Graeme Baynes says the introduction of the 7kVA Honda generator reaffirms the company’s position as a world leader in portable power. "Honda generators have a reputation of being the best in the business, and the EU70IS is set to even further enhance that," Baynes says. The EU70IS retails for $5,999 and comes with Honda’s 4 year domestic warranty as standard. 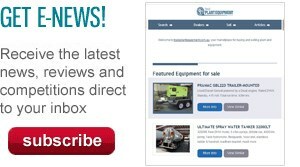 Find portable generators for sale.